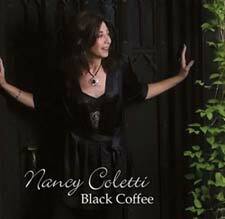 Thursday night is jazz night with the Nancy Coletti Trio! Relax in the Tap Room with music from the Great American Songbook, and classic pop standards. Come hear Cole Porter, Gershwin, Rodgers and Hart, Jerome Kern, classics of Burt Barachach and more. Sit back and enjoy music from the Great American Songbook, and classic pop standards. Come hear Cole Porter, Gershwin, Rodgers and Hart, Jerome Kern, classics of Burt Barachach and more. Sit back and relax with music from the Great American Songbook, and classic pop standards. JOin us as we perform Cole Porter, Gershwin, Rodgers and Hart, Jerome Kern, classics of Burt Barachach and many more.